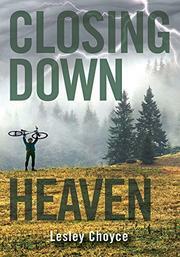 A 16-year-old boy struggles to navigate his way through heaven and back to Earth after a serious mountain-biking accident. Hunter Callaghan never felt more fearless or free than when riding his bike, helmetless, before falling precipitously onto a rock face. He soon realizes he has entered the afterlife, complete with a mentoring guide. The journey Hunter embarks on feels largely ecumenical (although his love interest in heaven is named Trinity); indeed, early on he reveals that he’s not sure that he believes in God. Instead, Archie (possibly short for archangel), his guru, leads him through an exploration of Jungian archetypes, and when he re-emerges into his living body, his therapist helps him explore his unconscious beliefs and projections. Choyce gradually reveals the details of Hunter’s accident and his subsequent challenges with love through accessible chapters in verse. Segments range in tone from breezy to intense. Although largely told in the first person, the alignment of the verse allows for multiple voices to be included. The three key human characters appear to be white, while Archie, the spirit guide and mentor, seems potentially ambiguous.